Home / Articles / Prominent Muslim-Russian Journalist Orkhan Djemal Killed in C.A.R. Prominent Muslim-Russian Journalist Orkhan Djemal Killed in C.A.R. At the end of July (July 31), Russian and international media reported that three Russian journalists investigating Russian presence in the Central African Republic were killed. 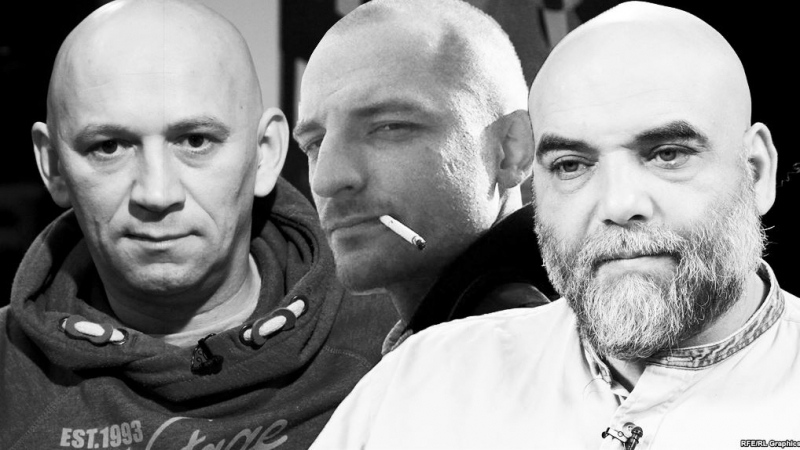 One of those journalists was Orkhan Djemal, the other two are Alexander Rastorguev and Kirill Radchenko. Djemal may not be well known to the English speaking public, but to those Russian speakers that follow events in Russia and the Muslim states of the former Soviet Union, Djemal was the voice of the Muslim street and the non-mainstream minds. He was best known for covering Muslim affairs in Russia and abroad. In his analysis and reporting he strived to present the Islamic perspective on important events and presented an Islamic paradigm of international relations. He was critical of many Russian government policies. Djemal criticized Moscow’s policies in Ukraine as well as in the North Caucasus. His criticism was far from dogmatic; it was highly intellectual and reasonably balanced. Both issues are very sensitive in Russia and few dare to bring up them up in their reporting, much less criticizing Kremlin’s policy. Orkhan Djemal was a veteran war correspondent and founder of the Muslim Union of Russian Journalists. His father, Geidar Djemal, was a well-known Muslim activist in Russia who recently passed away. The son was as active as his father and gained a reputation for speaking truth to power. His murder, doing what he loved and believed in, did not come as a surprise to those who knew him. Djemal was always in the midst of wars as a reporter presenting the unpopular side of the story, be it in Georgia, Somalia, Libya or the North Caucasus. One of the noticeable successes of Djemal’s Muslim activism was his non-sectarianism and his ability to work with Muslims of all schools of thought. He frequently defended Muslims of the former Soviet Union on various public platforms with a rarely matched eloquence. The fact that Djemal actively supported just causes and the oppressed of all ethnicities and religions within Russia made him unpopular with pro-government circles. His death is definitely a big loss for the Muslims of Russia as through him the community has lost a major voice on powerful societal platforms in Russia.